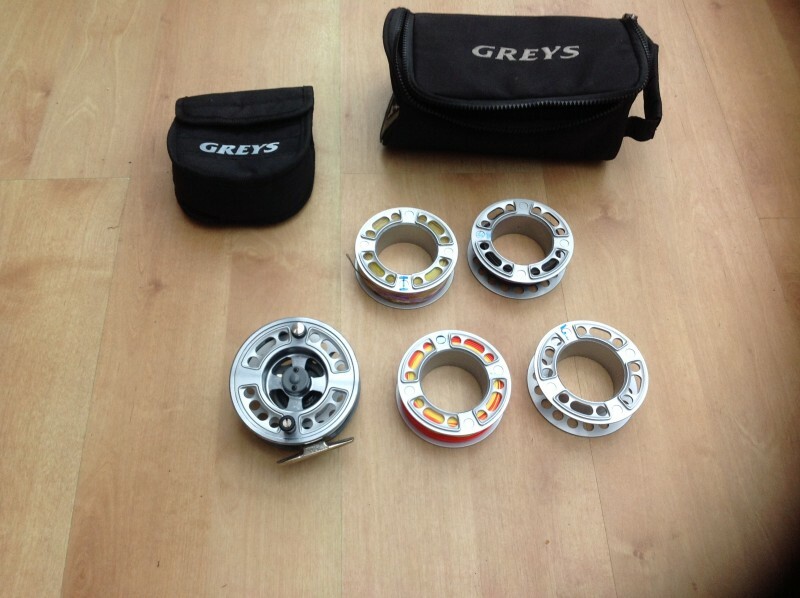 Mint condition greys quality fly reel.gtx model. Five cartidges three of which are loaded with matching 7/8 floating , sinking and intermediate fly line. Pick up Cardiff area.